A panel of ten judges using seven criteria numerically ranked gulf region, restoration projects, offering a possible score of twenty total points. The Award program seeks to recognize valuable efforts to restore, protect and sustain the Gulf of Mexico’s coastal and marine environment. 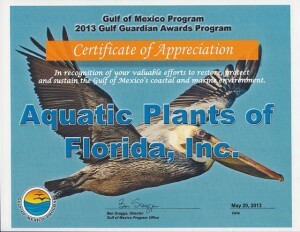 A list of the 2013 Gulf Guardian Award winners can be found at: http://www.epa.gov/gmpo. 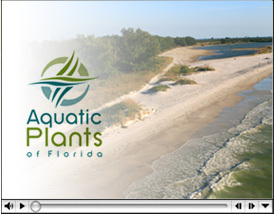 The Gulf of Mexico Program was initiated in 1988 by the U.S. Environmental Protection Agency (EPA) as a non-regulatory program. Founded on the threefold principles of partnership, science-based information, and citizen involvement, the Gulf Program joined the Great Lakes and Chesapeake Bay Programs as flagships of the nation’s efforts to apply an adaptive management approach to large coastal freshwater and marine ecosystems. The mission of the Program is to facilitate collaborative actions to protect, maintain, and restore the health and productivity of the Gulf of Mexico in ways consistent with the economic well-being of the Region.